Posted by Steven Bartus in Street Food, Turkish Cuisine. In my travels around the globe, street food is often the culinary highlight of any trip. Indeed, I’ve found “avoid walls” to be a particularly useful adage when deciding where to eat in a new city. In Ankara, this advice rings true late at night when dozens of venders set up shop and sell delicious midye dolma, pilav, kokoreç and köfte to the hungry masses. Two of the my favorite after-dark places to eat are not street food per say, but are actually modified, somewhat-dilapidated vans. Don’t let their appearance fool you: you’ll be hard pressed to find better food at any hour of the day. 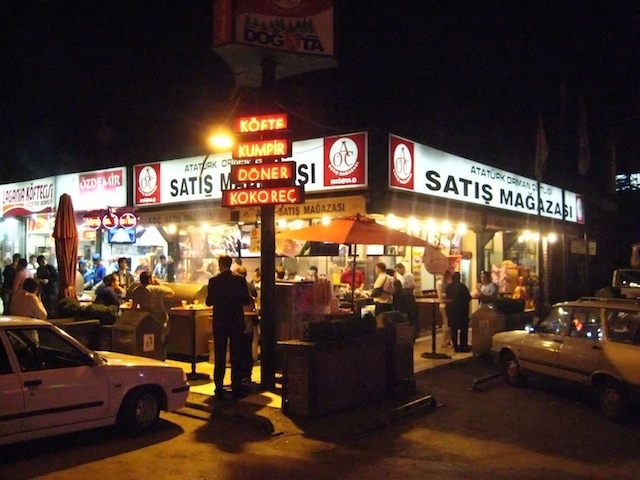 “The Köfte Men” is the label my friends and I affectionately apply to these vehicular eateries. One, run by a man named Ali, is located on Tunus Cad. by the Bilkent University bus stop (Google Maps). 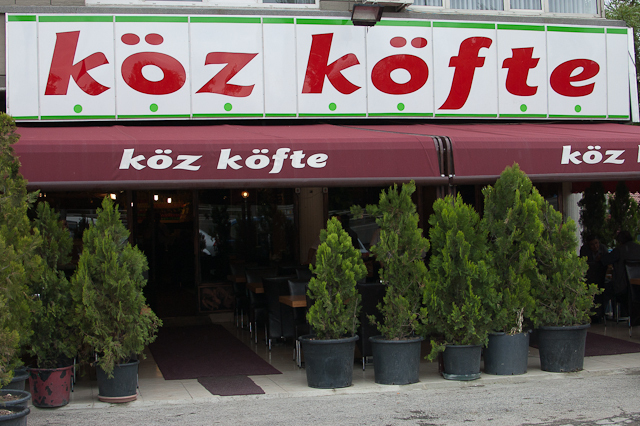 The other, run by Vahit, is just past the corner of Eskişehir Yolu and Bilkent Blv. near the new mosque (Google Maps). Both open at around 21:00 and close sometime around 2:00. I would rank their köfte among the best I’ve had in Turkey. Perfectly spiced and made to order, there are few greater joys to be found in the early hours of the morning.